Tradesmen Insurance Ireland, Personal Accident Cover Ireland. Call us today on 096 79626. So if you are a tradesman and are looking for expert advice and a competitive premium call us today or fill in the form. Personal Accident insurance is designed to protect you financially should you suffer an injury from an accident that leaves you unable to work. It can also offer protection against the same happening to a key member of staff. Our Personal Accident insurance provides 24-hour protection, so it can pay out if you’re injured while you’re working or outside of work. Please fill our response form with as much information as possible. This will help us to find you the best quote for your business – and at the lowest premium! BizBroker.ie provides Tradesmen Insurance in Ireland and Personal Accident Cover in Ireland. Call us today on 096 79626. © 2016 Copyright. 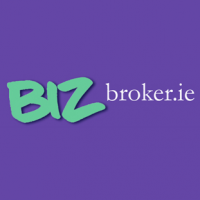 Biz Broker Ltd t/a Clarke & Conlon Insurance Brokers is regulated by the Central Bank of Ireland. Biz Broker Ltd t/a Clarke & Conlon Insurance Brokers. Pearse Street, Ballina, Mayo, Ireland.